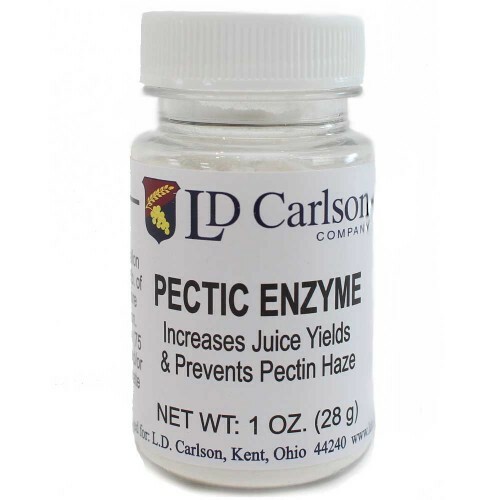 Pectic Enzyme Powder - 1 oz. - Texas Brewing Inc.
Pectic Enzyme Powder - 1 oz. Peptic Enzyme increases juice yields, prevents pectin haze, breaks down pulp and aids in the extraction of tannin. Suggested Usage: Add teaspoon per gallon of must before start of fermentation.